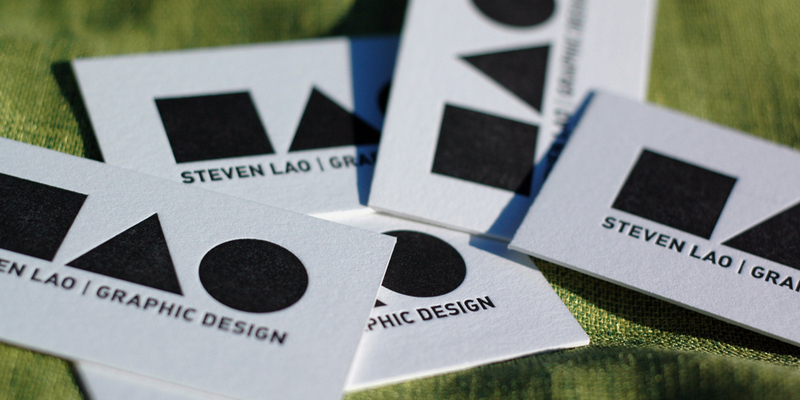 These double sided business cards were printed with a rich black on 220lb Cranes Lettra in Florescent White. 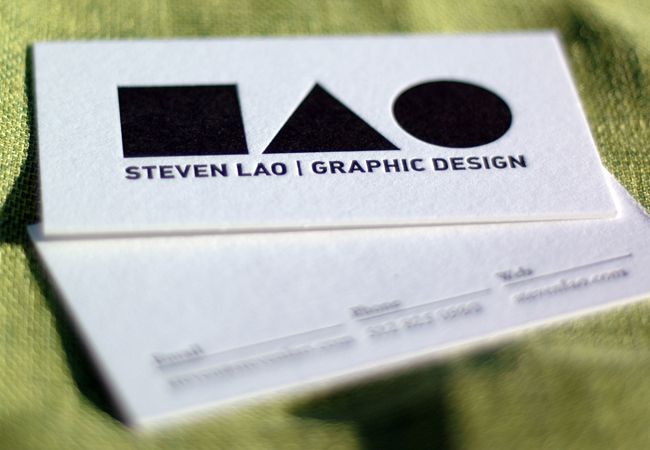 The thickness of the card and bold graphics make a great statement for this talented designer. 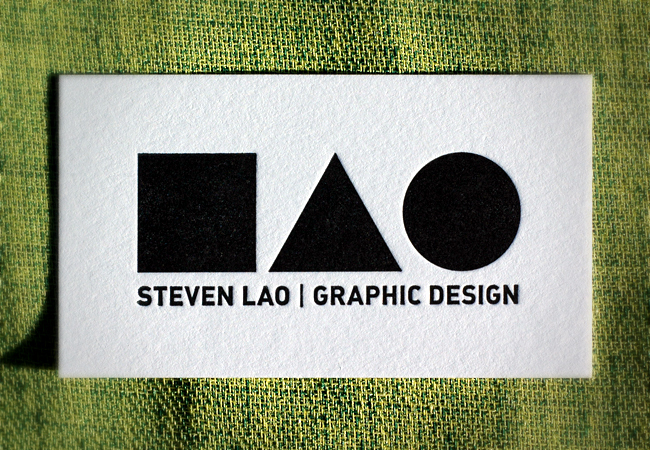 The cards were designed by Steven Lao.